Andy Lecompte, one of Los Angeles' most famed hairstylist opened his first self-titled salon in 2008, in partnership with long time friend and fellow hairstylist Leanne Citrone. The salon was named "LA's most appointment-worth and celeb heavy beauty spot" by Vogue.com. The ecommerce brand's first brick and mortar store is located on Robertson. Whether you are looking for a small hair retouch or a full hair upgrade, you can't go wrong with the Bellami's line of hair extensions made from real human hair. Be sure to try out the celebrity-backed collections too, such as Kylie Jenner's Kylie Hair Kouture. This visually stunning space is not your typical salon. Inside the Salon Benjamin, you will find an eclectic mix of music, art, books and vintage artifacts within reach to anyone wanting to explore the salon. Cycle House offers the most intense cardio workouts in Los Angeles. Complete with motivational instructors and high-energy music, classes burn between 500 and 1,000 calories in just under an hour. Cycle House rides incorporate interval training for a full-body workout, helping to strengthen and tone the core, arms, back and legs. The studio is also focused on improving the world around you—for each class you take, two meals are donated to a person in need. Today, Fantastic Sams is one of the world’s largest full-service hair care franchises, with salons located throughout North America. Over the years, our salons have earned a reputation for providing quality hair care services for the entire family. Quite simply, our goal is to provide our guests with unexpected quality, service, and style, at a fantastic price. Since 2001, Lulur Day Spa has been servicing West Hollywood clientele with superior spa services. Founder René Andersen, is committed to delivering a high quality spa experience for more than 3 decades. Let Lulur Day Spa be your oasis. Ma Maison de Beauté originated in 1984 when it was Giovanna and Jutta on Melrose Place. Their years of experience treating both minor and severe skin care problems has given them the opportunity to perfect treatments, and deliver amazing results. They are in a charming boutique spa located directly off Robertson in the hippest stretch of Beverly and Robertson. Marco Pelusi is globally recognized as a leading hair color authority, educator and celebrity hair colorist. Marco and his talented staff offer world-class hair fashion to celebrities and trendsetters at the luxurious Marco Pelusi Hair Studio. Paul-Jean, a native of France, believes in the French style of hairstyling. After being trained in France, he came to California and apprenticed under Jose Eber and now works on his own as a solo master stylist in his newly opened Hollywood Salon. Private personal training, kick boxing and public yoga studio. See our website for class times and to sign up for a class. Robert Matt Salon offers you an intimate atmosphere conducive to the most luxurious and complete personal service for you to relax and feel pampered. Your entire experience is handled with care and great attention to detail. Inspired by products found on their travels Benjamin and Genavieve have edited a selection of the world’s most outstanding luxury brands, focusing on craftsmanship and the highest quality ingredients. Selects is simply the finest collection of beauty products available. Shape House is an Urban Sweat Lodge™. A place to heal, a place to let go, a place to let all melt away that is no longer serving a purpose. Skin Laundry is a one-stop shop for skincare for men and women. Created around the concept, "Healthy Skin With No Down Time," Skin Laundry’s ultimate 10-minute medical-grade facials provide the perfect antidote for problem skin. In a field filled with misguided failures and mystic therapies it is important to choose your facial treatments wisely. 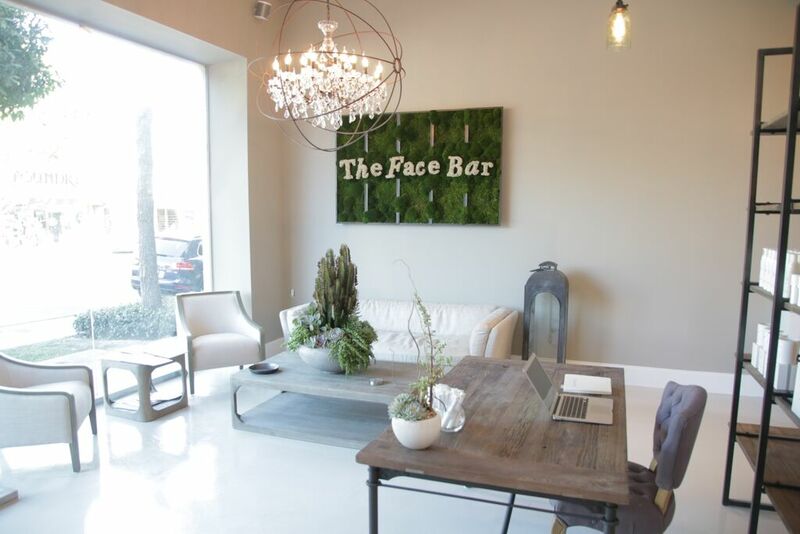 The Face Bar works solely with the premiere Aesthetician in Beverly Hills, Tricia Dikes, who is also the co-founder. Combined with 19 years experience, a client list that reads like a who’s who in Hollywood, and an incredible track record for results, Tricia’s chemical peel treatments have become one of the most trusted and sought after facial treatments in the country. A cozy, clean, stylish salon, Yuka Style is your premium destination for personalized beauty treatments.